We add NSMBWii BGs to NSHB | New Super Hacker Bros. This entry was posted on December 11, 2011 by NSHB-Team. It was filed under Uncategorized . 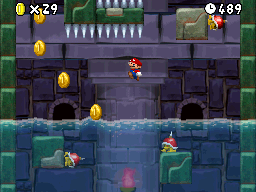 We export the BGs of NSMBWii and adapt them to use for NSMB DS. Then we import them. Wow you did it by yourself? that’s amazing!! Thank you =) That was made by me (Fr33ze)!